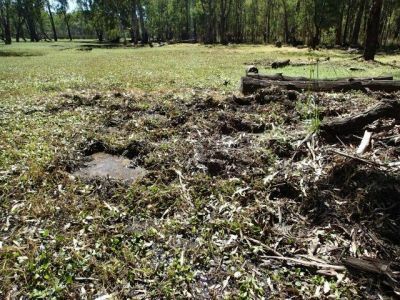 Have your say on the draft Strategic Action Plan for the protection of floodplain marshes in Barmah National Park and Barmah Forest Ramsar Site. Located in northern Victoria, the Barmah National Park and Barmah Forest Ramsar site (referred to here as Barmah Forest) are jointly managed by Parks Victoria and Traditional Owners, the Yorta Yorta Nation. The ecological health of this area is essential to Traditional Owners’ cultural and spiritual connections to the land and supports valuable recreation and tourism activity, contributing to the local economy. 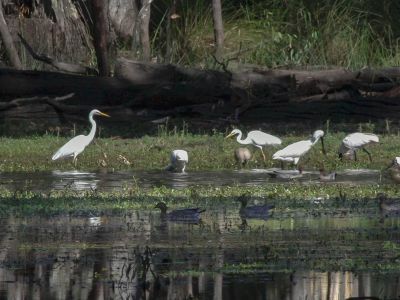 Classified as a wetland of international importance in 1982, the Barmah Forest Ramsar Site is significant for waterbirds and provides habitat for many wetland-dependent wildlife species. 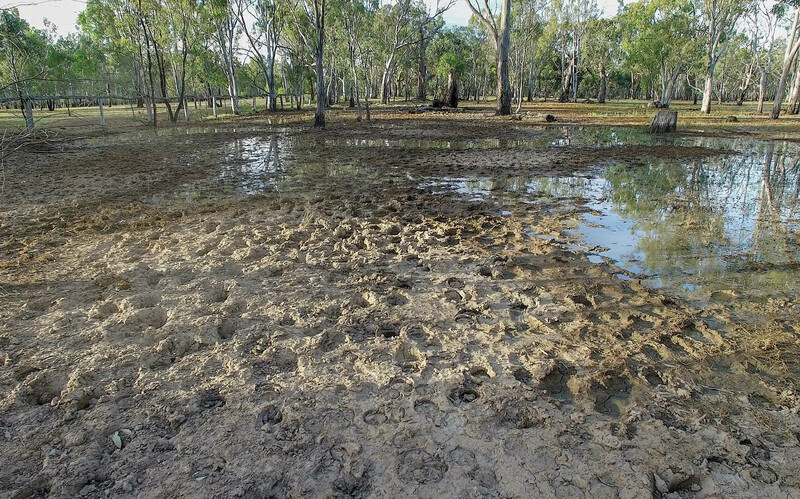 Changes to the natural flooding patterns, invasive plants and introduced grazing animals – particularly feral horses – have had adverse impacts at Barmah Forest and action is necessary to protect the Barmah Forest’s fragile ecosystem. These images illustrate the impact of changes to the natural flooding patterns, invasive plants and introduced grazing animals at Barmah Forest. 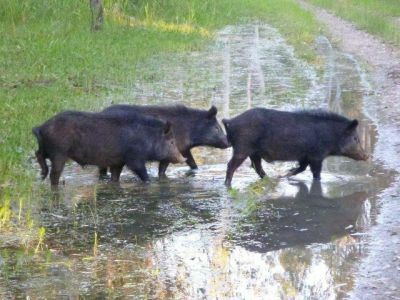 The Strategic Action Plan: Protection of floodplain marshes in Barmah National Park and Barmah Forest Ramsar site (2019—2023) outlines a four-year program to address major threats to the Barmah wetlands, including control and removal of feral horses and other invasive animals, and proposed changes to the flooding regimes. 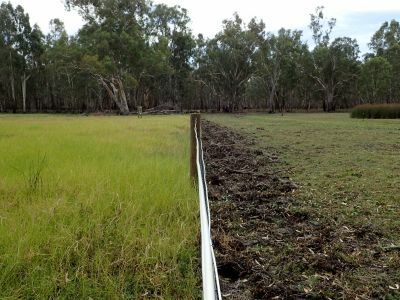 The main objective is to restore the health of the floodplain marshes at Barmah Forest Ramsar Site and Barmah National Park, increasing the extent and cover of Moira grass and associated wetland vegetation. The draft plan has been developed following extensive consultation with Traditional Owners, community members, environmental and horse interest groups, and other stakeholders, as well as input from specialists in veterinary science, natural resource management and animal welfare. Parks Victoria is now seeking your feedback, which will be used to inform the final strategic action plan. Download the draft Strategic Action Plan: Protection of floodplain marshes in Barmah National Park and Barmah Forest Ramsar site [2019-2023] below. MS Word version of the draft plan. This survey will take you approximately 10 minutes to complete. There are some general questions about you, followed by questions about the draft plan. You may also choose to upload additional information as part of your submission. If yes, please specify the name of the organisation or community group. A copy of your submission will be sent to this address. Check this box if you do not want your submission to be published. Check this box to receive updates about this project and/or other information from Parks Victoria. The main objective of the draft strategic action plan is to restore the health of the floodplain marshes of Barmah Forest, increasing the extent and cover of Moira grass and associated wetland vegetation. 9. Is there anything else that you think is important and should be considered as part of these conservation strategies? 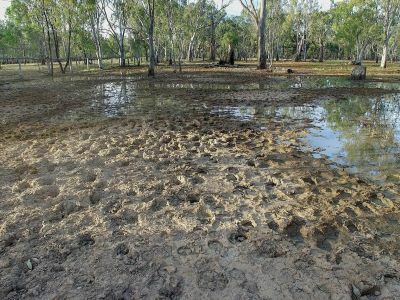 The removal of horses is necessary to protect the fragile Barmah floodplains and encourage regrowth of the critical Moira grass lands as a core part of the wetlands. This plan describes the first stage of control and removal of feral horses, bringing the total number down from more than 500 to 100 over a four-year period. 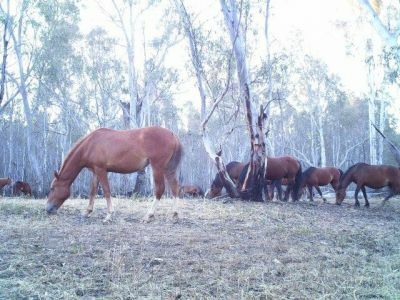 The longer-term aim is for total removal of feral horses from the Barmah National Park. Trapping and rehoming of horses will be used where appropriate rehoming recipients have been identified. Where rehoming cannot be arranged horses will be culled. Shooting of free-ranging horses by contracted professional shooters has been proposed by a number of stakeholders and welfare organisations as a more humane approach than methods that involve capture, transport and being put down as a final outcome, in terms of minimising animal suffering. This plan proposes contracting professional shooters to use specialist equipment (e.g. noise suppressors and thermal imaging equipment) to cull free-ranging horses by ground shooting under strict operational procedures. These operations will be overseen by expert equine veterinarians and strictly managed in terms of humane animal welfare and public safety standards. 11. Do you have suggestions about ways Parks Victoria might work with local or community groups to maximise rehoming opportunities for captured horses? 12. Do you have any other comments about the draft strategic plan? You may also choose to upload supplementary information as part of this consultation process. Press the 'choose file' button below to upload a file..
Community meetings and stakeholder roundtables to understand interests and issues from a broad range of perspectives. Draft plan developed informed by community and stakeholder consultation and input from experts. Parks Victoria seeks public comment on the draft Strategic Action Plan. Responses collated and summary consultation report made publicly available. Amendments in response to public consultation and stakeholder engagement and release of the final strategic action plan. Why is the Barmah Forest Ramsar site important? What is the significance of Moira grass? Why are horses being removed from Barmah Forest? What are the impacts of feral animals on the traditional cultural values of the park? The Ramsar Convention is an international intergovernmental treaty with the aim of halting or reversing the worldwide loss of wetlands, and to conserve those that remain through wise use and management. In 1982, Barmah Forest was listed as a Ramsar site reflecting its significant wetland values, including being part of the largest river red gum forest in the bioregion and for its extensive aquatic grasslands, known locally as Moira grass plains. These habitats support eight nationally-listed threatened species and significant numbers of native species, including 298 animal species and 553 plant species. 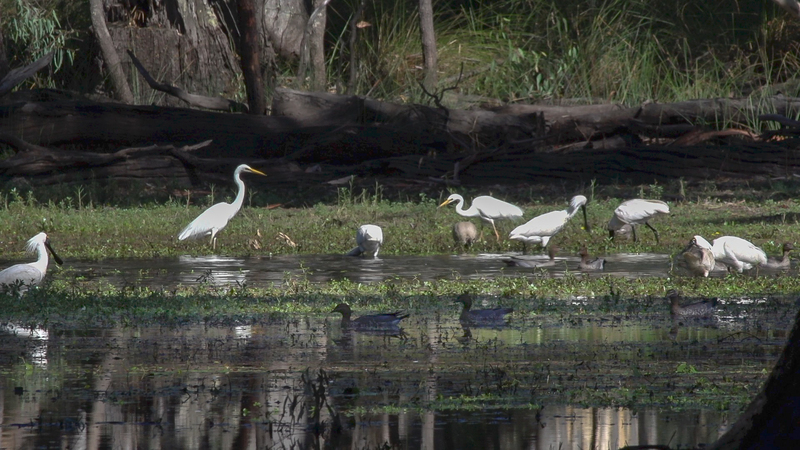 Barmah Forest also supports migratory waterbird species and breeding of large numbers of waterbirds, provides drought refuge for waterbirds and native fish, and supports native fish breeding, migration and recruitment. Moira grass plains are a distinctive seasonal form of floodplain marsh. This grass species is a significant contributor to floodplain organic carbon, an important energy source for other floodplain and wetland-dependent species. Moira grass is a fast-growing aquatic plant, which can grow up to four metres in one year. It is highly palatable and selectively grazed by large introduced herbivores, historically by cattle and currently by feral horses. In the 1930s Barmah Forest was estimated to have 4,000 hectares of Moira Grass. By 2015 only 182 hectares remained. In the absence of management intervention researchers have predicted extinction of the vegetation community in Barmah Forest by 2026. Introduced grazing herbivores, particularly feral horses, are highly mobile, moving throughout the landscape taking advantage of abundant food resources, and during flood events will often congregate on higher ground. This results in detrimental impacts to specific sites of cultural importance such as middens, burial sites and ceremonial grounds that often occur on higher ground/sandy rises. It has also resulted in significant change to the overall health of the forest, causing damage to Country.